Life of a blogger also means being privy to new product launches and this one was about something really exciting . It is a Botanical Tonic that delays greying, amazing isn’t it. Let me tell you how…. 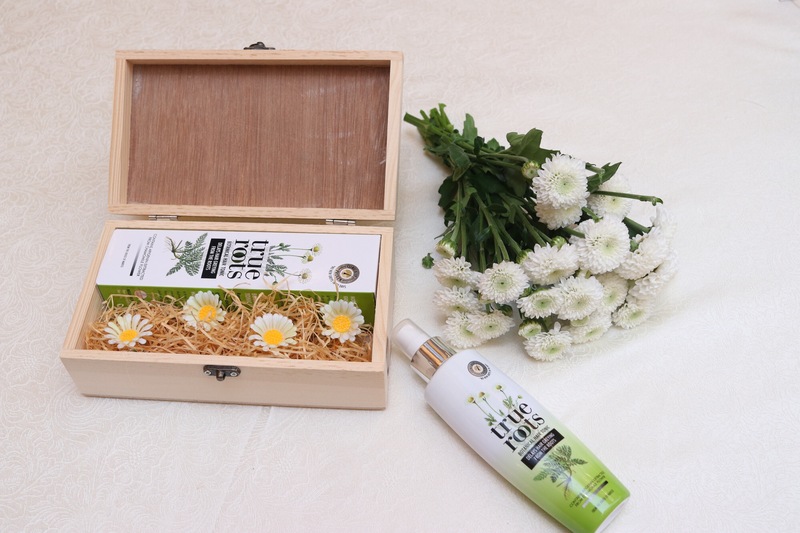 On of the key ingredient of the formula is Chamomile flower which makes for a fantastic hair colorant especially for the Indian hair types. It contains a pigment called apigenin, which helps in producing melanin that in return gives hair its natural colour. 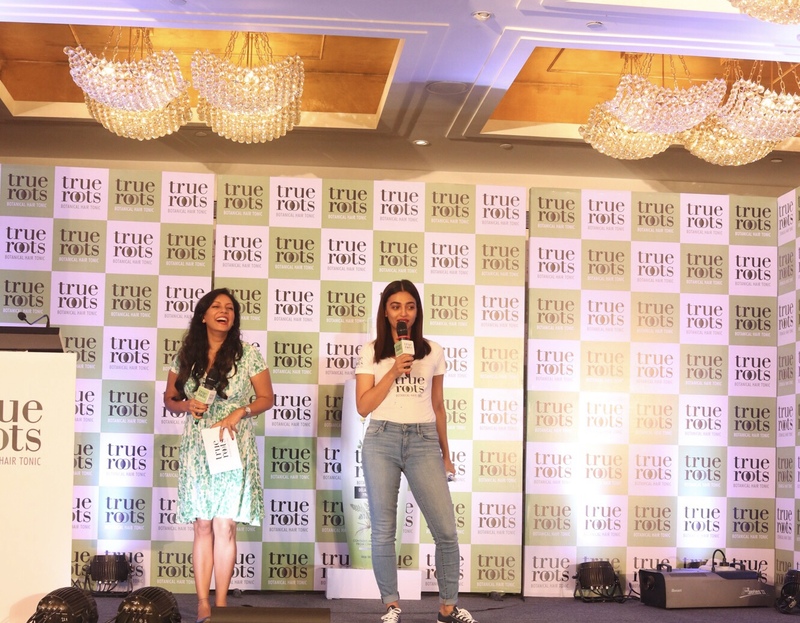 Radhika Apte, who happens to me one of my favourite actors , launched Marico’s newest brand ‘True Roots’, that delays hair greying from the roots. True Roots Botanical Hair Tonic is dermatologically tested and is clinically proven to show no new greys in 90 days. 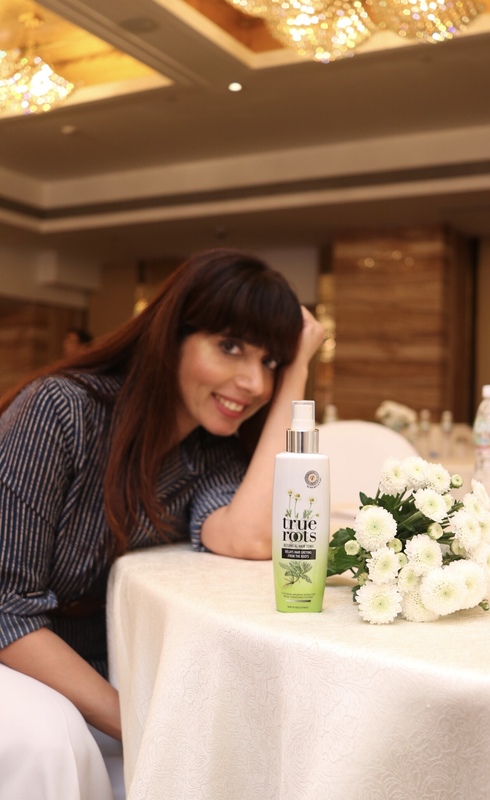 The actor, who is known for her choice of diverse roles, and speaking her mind, spoke about the #FaceItSolveIt philosophy of True Roots, while launching it here at an event today. Let me know if try it too.